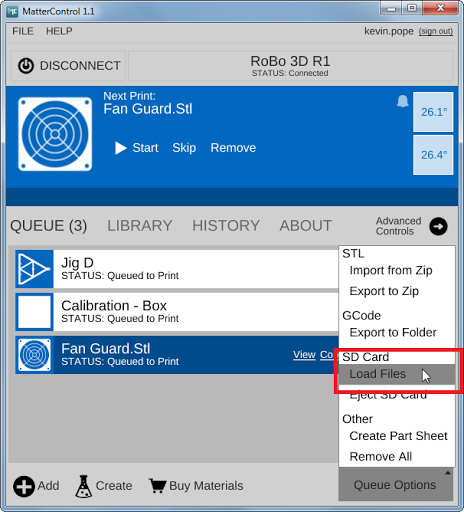 Files present on an SD Card inserted in a printer with an SD slot and connected to MatterControl show up in the normal Queue and can be printed, paused, and canceled in the same as any other print. 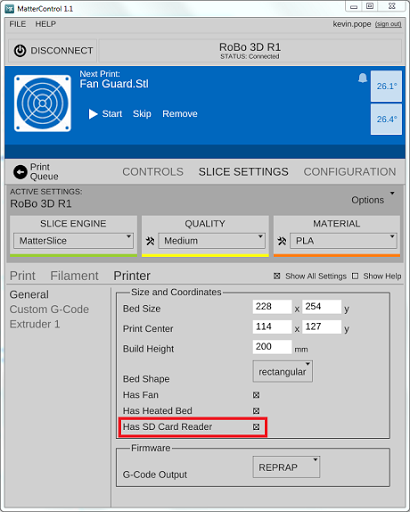 If your printer has an SD Card be sure to enable it in the slice settings (see picture below) and let us know if you have suggestions for improving this feature. 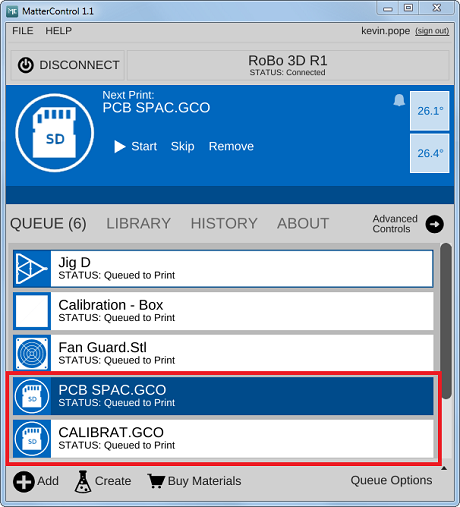 Please Note: Models can no longer be exported directly from the Print Queue to an SD card inserted in the printer's SD port. The SD card must be inserted the SD card slot on the computer running MatterControl. This was possible in earlier versions of MatterControl, but the feature has been removed due to complications with user interface. The first thing you need to make sure of is that you have SD Card Reader enabled in your settings. Then you can load the file from the SD card in the printer into your queue. Insert your SD card into the computer you are running MatterControl on. This page was last modified on 2 February 2016, at 18:25.